If you’ve got breakouts, make sure to get into an effective acne-fighting routine and stick with it! Remember that acne is always treatable and tons of people are dealing with the same skin issues, too. While you’re fighting acne with the right topical treatments, you may want to conceal your pimples and hyperpigmentation as well. Here are the five best products you can use to conceal a breakout! Oil-free primers absorb the excess oils on your skin and create a smooth base for your makeup. Your makeup can glide evenly on top of a primer, which means it’ll help you cover all your pimples and get a smooth, finished look...it can also help you get away with using less product. These are foundations with salicylic acid in them. We think of these like a two-in-one product — you get an oil-free foundation for coverage combined with a medical grade salicylic acid for treatment (salicylic acid unclogs your pores and prevents acne pimples). These creamy products can help when foundation coverage is not enough. A small amount dabbed on your blemishes will help conceal even the most stubborn pimples. Make sure your concealer always matches your skin tone — if you can’t find the perfect concealer color to match your skin tone, you can mix two shades together. This powder should be applied after your foundation and concealer. It will lock everything in place and keep your skin well covered for the whole day. 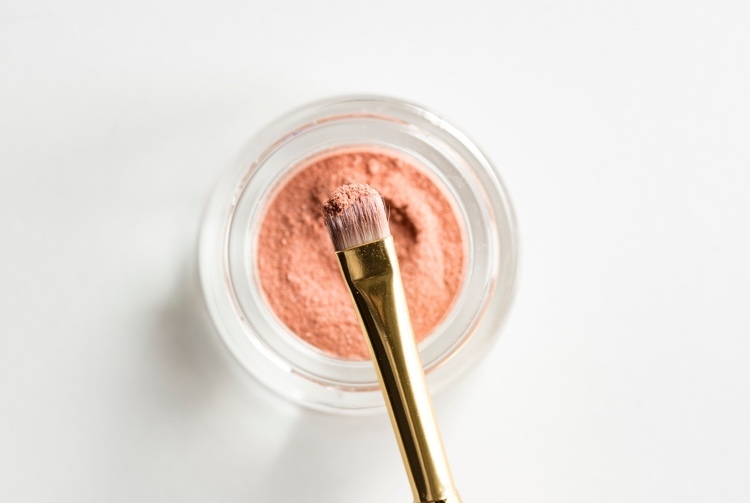 Always make sure to use a blush and bronzer labeled "non-comedogenic" and be mindful of which colors could make a cheek breakout stand out more. Hey, remember: You are awesome and do NOT need makeup to be beautiful. However, good makeup can be a great tool to help you feel more confident while you heal your acne. All acne is treatable and it won’t last forever! How to clean your makeup brushes when you have acne?